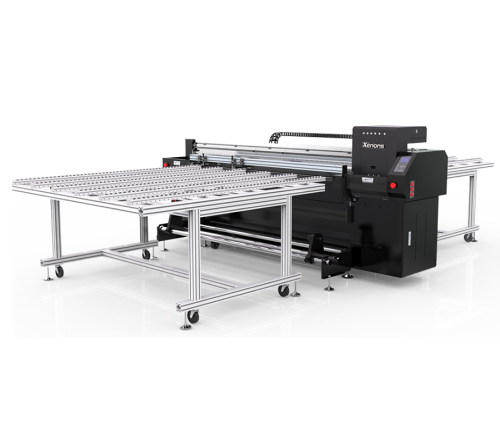 M2000 hybrid with Toshiba print head, not only on roll media but also on rigid media. 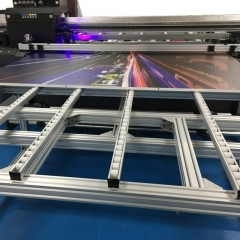 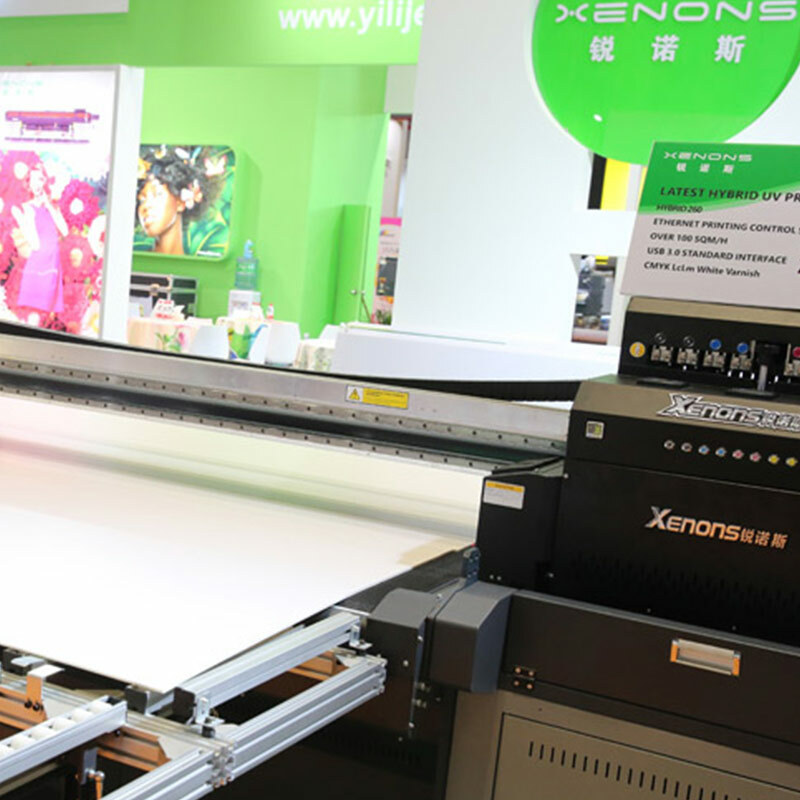 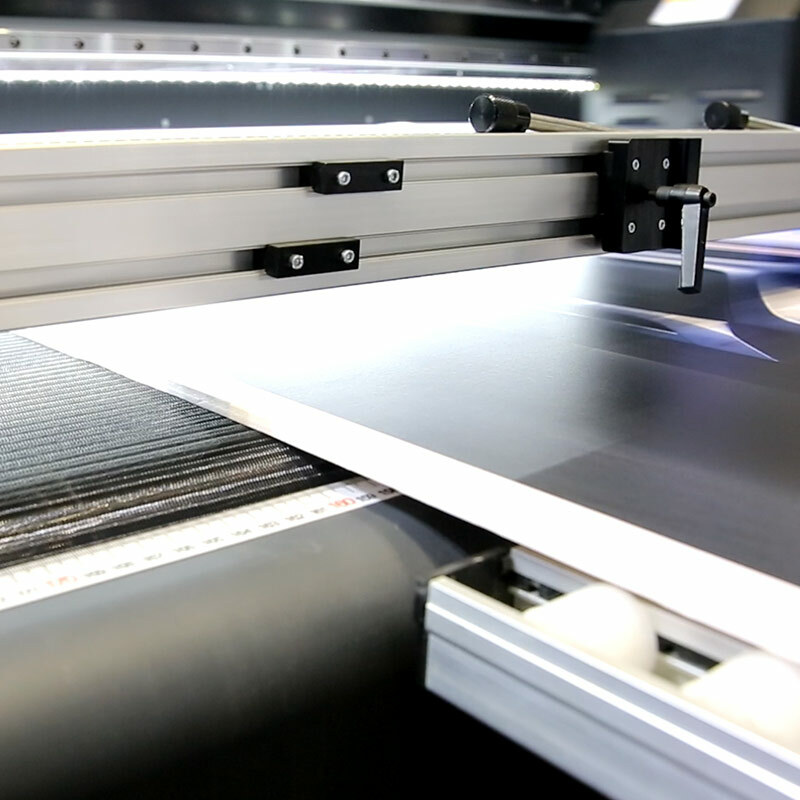 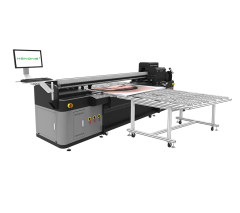 Equipped with a feed and delivery table, it enables direct printing on rigid media up to 30 mm thickness. 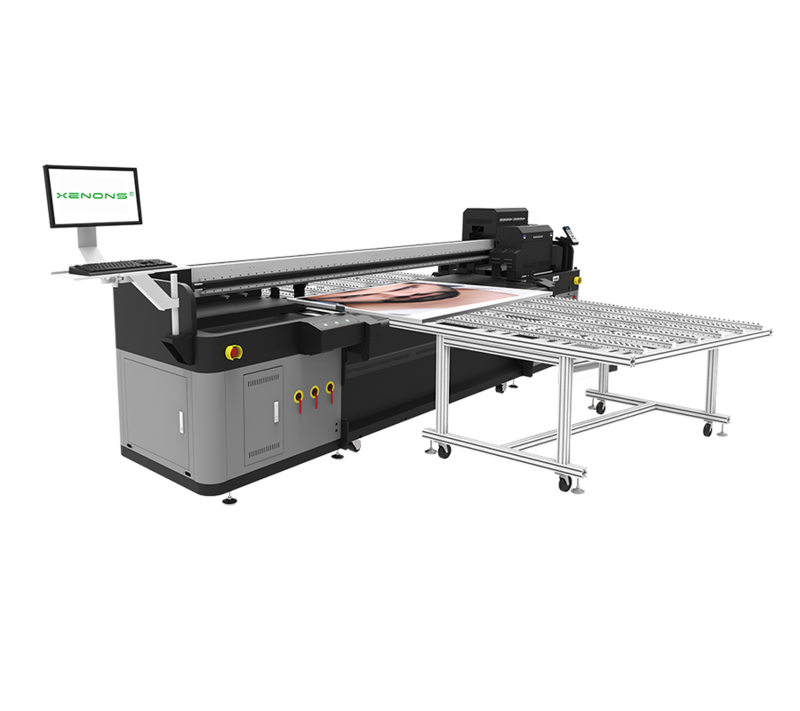 The hybrid with both X & Y axis media guide system. As well as a automatic infrared media detection system. 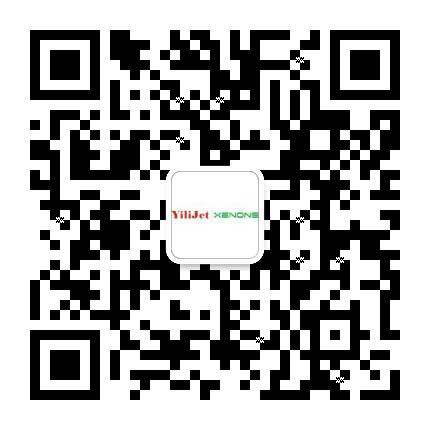 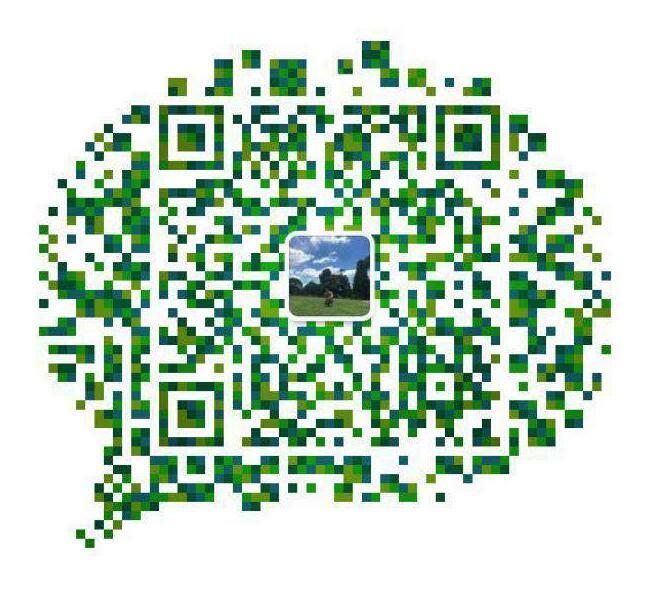 It is equipped with CE certificated suction pump with adjustable suction power and zone. Two negative generators, one is for color while the other one is for white color.